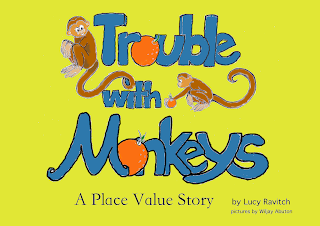 Kids Math Teacher: Winners and Trouble with Monkeys now selling! Winners and Trouble with Monkeys now selling! 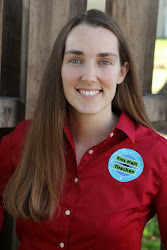 It is live here at Teachers pay Teachers and Teachers Notebook. I even have a A4 page format for you here on TpT. I am having another giveaway on TeachersNotebook here (runs through 1/10/14) if you missed my giveaway on the blog. Also, very exciting... my good friend is going to translate it into Spanish so pretty soon there will be a bilingual version too! 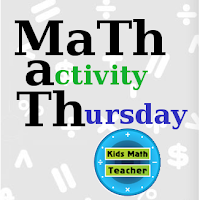 I will be back tomorrow for MaTh (Math activity Thursday) where you can link up any math related post! I still need to make a schedule for it--any suggestions? Do you like when I do common core standards? Or should I go with another theme? See you tomorrow! And again, happy new year!!! Love the idea of having the book in Spanish as well! This is Greg stopping by your blog. I love the idea of using common core for Freebies. Perhaps the schedule can be a math center or activity that is linked to grade bands K & 1, 2nd & 3rd, 4th & 5th or it can be any activity from a domain that you choose Number in Base Ten Standard. Another thought can be a Freestyle Thursday in which contributors can give anything related to math perhaps 1 or 2 Thursdays a month. These are just suggestions. It is a difficult decision when you want it to be organized. I understand. 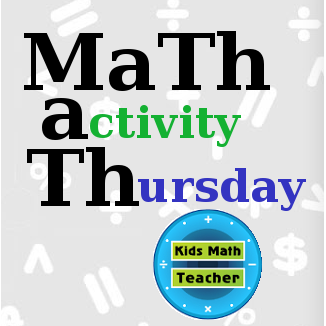 Math Activity Thursday is a great idea.